White Dresses, a collection of Southern bridal shops, teamed with Leslie Hollingsworth Photography for a stunning styled shoot featuring a gorgeous gown available at both our Huntsville Bridal Shop and Nashville Bridal Shop. The shoot was set at a gorgeous polo field in Northwest Alabama. The shoot was styled by our sweet friend Ginny Au. 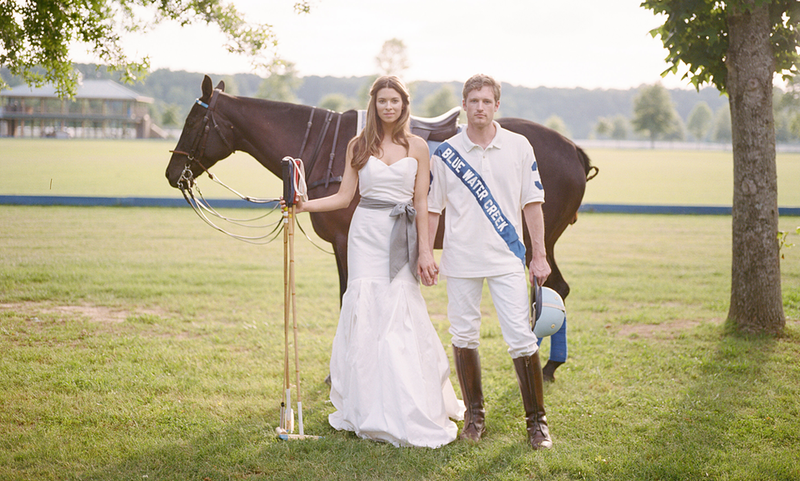 When styling the bride, Ginny looked for a simplistic gown that was casual enough to blend with the polo club yet sophisticated enough to be wedding day appropriate. She paired the gorgeous Palazzo by Jane White Casi Gown with a stunning raw silk blue gray sash that tied in perfectly with the BlueWater Creek Polo Attire. 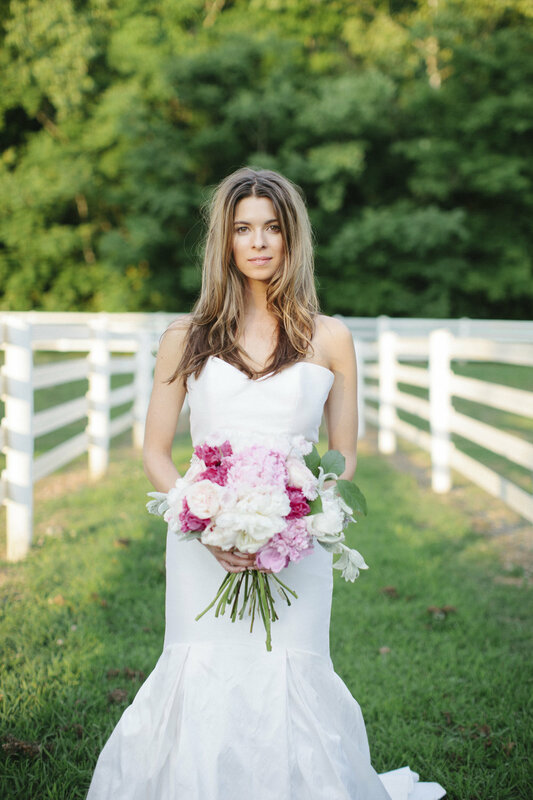 For florals, Ginny Au created a blush, pale pink, and white bouquet that was absolutely perfect. Makeup was done by Sylvia Smith from Pro Makeup Artist Studios in Huntsville and hair was done by Katje Lael from Nashville. In addition to shooting some gorgeous shots of the styled bride and groom, we brought along a stunning Marchesa bridal gown and Stephanie Allin bridal gown to shoot some additional looks. We love the photos of the three brides standing together and think they are so dreamy! White Dresses would like to thank Leslie Hollingsworth Photography and the other vendors involved in the shoot for their amazing contributions. Please check out the vendor listing at the bottom of this post to see a full list of vendors involved.